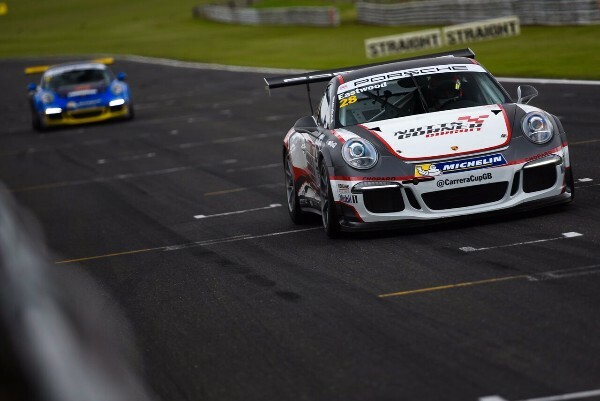 Porsche GB 2016 / 2017 Scholar Charlie Eastwood (Redline Racing) started his attack on the 2017 championship lead in perfect style with a time quarter of a second faster than the 2016 pole to claim two pole position starts for rounds eight and nine. The Snetterton lap record holder currently lies second in the championship and, along with Dino Zamparelli (JTR), is looking to maximise his points haul from the weekend while current leader Dan Cammish continues his Porsche Mobil 1 Supercup campaign in Hungary. Third-placed Zamparelli just missed out after failing to improve his time on his second set of tyres. The Bristol driver had the edge in Friday’s practice, but a mistake in the second part of qualifying left him second on the grid for both races. Team mate Tio Ellinas posted his best qualifying result of the season to line up third for both races, and completing a strong qualifying performance for JTR was Lewis Plato in fourth. In Pro-Am1, Justin Sherwood claimed both pole positions on offer, while Peter Kyle-Henney repeated the feat in Pro-Am2. As the session opened, the top three from free practice – Zamparelli, Eastwood and Plato – looked like turning qualifying into a repeat of the previous day. Zamparelli was the only driver to dip below 1:51s, setting the benchmark as the drivers returned to the pits for their second set of tyres. Fresh rubber usually sees the fastest times emerge in the final 10 minutes, and first to capitalise was Tom Oliphant (Redline Racing) with an improvement to third. As Oliphant moved up, Eastwood posted the fastest final sector as he readied for his flying lap and Zamparelli the fastest first sector. However, a mistake in the final sector saw Zamparelli fail to improve on his earlier time, while Eastwood completed his lap to edge the earlier benchmark by just 0.082s. Behind the front row battle, team mates Plato and Ellinas were trading fractions for the second row. Plato claimed third before being displaced almost immediately by top Rookie Ellinas, both drivers nevertheless completing the most successful qualifying session to date for new team JTR. Oliphant ended fifth, with Rookie Tom Wrigley (IN2 Racing) sixth. However, due to a technical infringement Wrigley will start round eight from the pit lane and round nine from the back of the grid. Euan McKay (Redline Racing) and super-sub Scott Malvern (Redline Racing), filling in for the absent Cammish, took a sixth and seventh apiece. 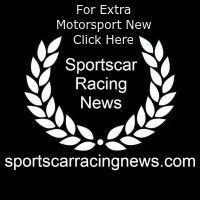 Dan McKay (Redline Racing) and Ross Wylie (Slidesports) completed the Pro category in ninth and tenth, with just over 1.5 seconds covering the top ten over Snetterton’s 2.97 miles. Justin Sherwood (Team Parker Racing) maintained his practice form to claim two category pole positions, putting himself ahead on his final flying lap of the session. Three tenths adrift of the championship leader was Alex Martin (Team Parker Racing), with John McCullagh (Redline Racing) marking an impressive return with two third-place grid slots ahead of Graeme Mundy (Team Parker Racing) in fourth. After dominating Pro-Am2 in practice, Peter Kyle-Henney took two category pole positions, although by a margin reduced to just a quarter of a second by championship leader Shamus Jennings (G-Cat Racing) in second. Steadily moving up throughout the session was Iain Dockerill (Asset Advantage Racing) to claim third on the grid, while Rookie David Fairbrother (Slidesports) slipped to fourth after running as high as second earlier in the session. Category stalwart Rupert Martin (Team Parker Racing) starts both races from fifth.